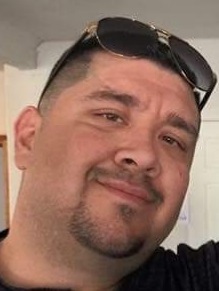 Phillip (Faze) Garcia, age 35, lifelong resident of Albuquerque, passed away, Monday February 4, 2019. Phillip is survived by his parents, Joe and Anna Garcia; sister, Audrey Garcia; nephews, Jonathan and Joseph; grandmother, Mary Marquez; girlfriend, Andrea Washington; and many aunts, uncles, cousins and friends. A visitation will be Tuesday, February 12, 2019 from 6:30 p.m. until 7:00 p.m. at Gabaldon Mortuary, 1000 Old Coors Dr. SW with a Rosary to be recited at 7:00 p.m. A final visitation will be Wednesday, February 13, 2019 from 8:30 a.m. until 9:00 a.m. at St. Anne Catholic Church, 1400 Arenal Rd. NW with Mass of Christian Burial to be celebrated at 9:00 a.m. Burial will follow at Mount Calvary Cemetery. Pallbearers will be Daniel Martinez, Michael Herrera (Krush), Marcos A. Molina, Efrain Chavez, Jonathan Carabajal and Joseph Sanchez. Honorary pallbearers will be, Casey Padilla and Orlando C. Marquez.